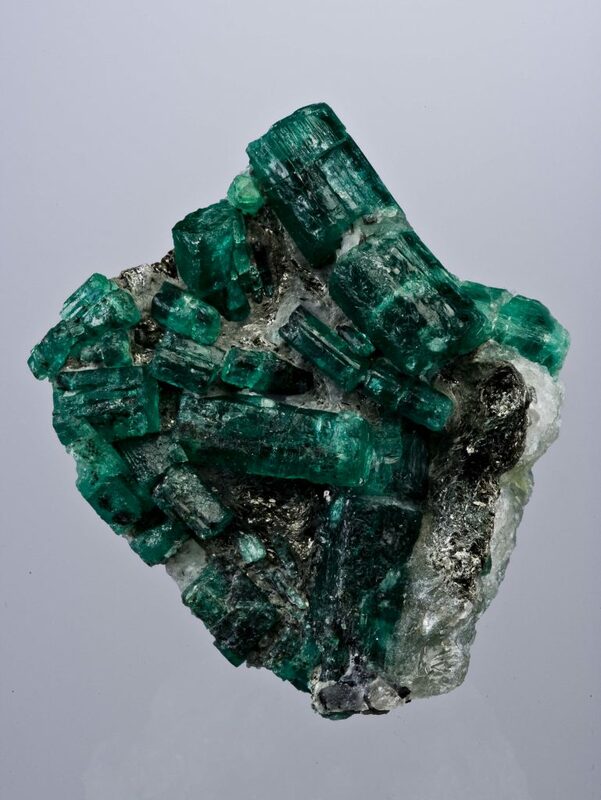 An example of rough emerald crystal discovered in Afghanistan. Colombia is generally recognized as the source of the world’s finest emeralds, both in the past and the present. Brazil has been another important supplier of emeralds as are Russia, Zambia, and Zimbabwe. Some of these emerald sources have greater prestige than others, and the origin of an emerald has been known to influence their price. The wisdom of paying premiums for emeralds from prestigious locales is questionable. Quality is determined by a gem’s appearance, not the mine that it came from. Each stone should be judged by its own merits. There is a large variation in the color of emeralds from a single mine, and a majority of the emeralds mined at any location are of such poor quality that they never enter the gem trade. Only very few finds are gem-quality, which means they are suitable for jewelry. So it is important for the consumer to understand that while emeralds may exhibit special characteristics representative of their source, origin does not always guarantee quality. Beautiful, spherical tubes of Afghanistan emerald crystal. Aside from the more well-known emerald producing countries, other sources have developed over the years that have made quite an impact on the emerald market. While they may not produce a large quantity of emeralds, the quality has been matching some of the best emeralds produced from Colombia and Brazil. These two countries are notable not because they supply emeralds in quantity, but because the quality of the emeralds they produce can rival the finest Colombian stones. This is not surprising given that all three originate from a hydrothermal process. According to Sinkankas (1981), Gübelin was known to remark that some of the Pakistani emeralds were “good to outstanding” with respect to their liveliness, transparency, and color saturation , and could be favorably compared to Muzo (Colombian) stones. A map of Australia showing emerald mine locations. There is some evidence that the Afghan sources were exploited in antiquity. Today, production is limited by political unrest as well as the harsh climate and high altitude at which emeralds are found. When an Afghan emerald is under consideration, it will likely have a vibrant saturation and lovely, bright green hue . The majority of the beryl production in Australia has been ore beryl. Emeralds were discovered in Australia in 1890 in New South Wales. After a few years worth of good production, the mines were closed. Emeralds were also found at Poona in Western Australia in the early 20th century, but the life of this discovery was also relatively short. The most recent attempt to rejuvenate the mining operations in Australia were centralized to Aga Khan in Western Australia in 2001, but once again, supply proved to be unsustainable and have been abandoned. Master cutters in Jaipur, India will turn these pieces of rough emerald crystal into faceted and polished gems. As for Emeraulds, it is a vulgar error to say they come originally from the East. And therefore when jewelers and goldsmiths, to prefer a deep-coloured Emerauld enclining to black, tell ye, it is an oriental Emerauld, they speak that which is not true. I confess I could never discover in what part of our continent those stones are found. But sure I am, that the Eastern part of the world never produced any of these stones, neither in the Continent, nor in the islands. True it is that since the discovery of America some of those stones have been often brought rough from Peru to the Philippine Islands, whence they have been imported to Europe; but this is not enough to make them oriental. A detail of Rajasthan, India where Jaipur is located, one of the busiest emerald cutting regions in the world. 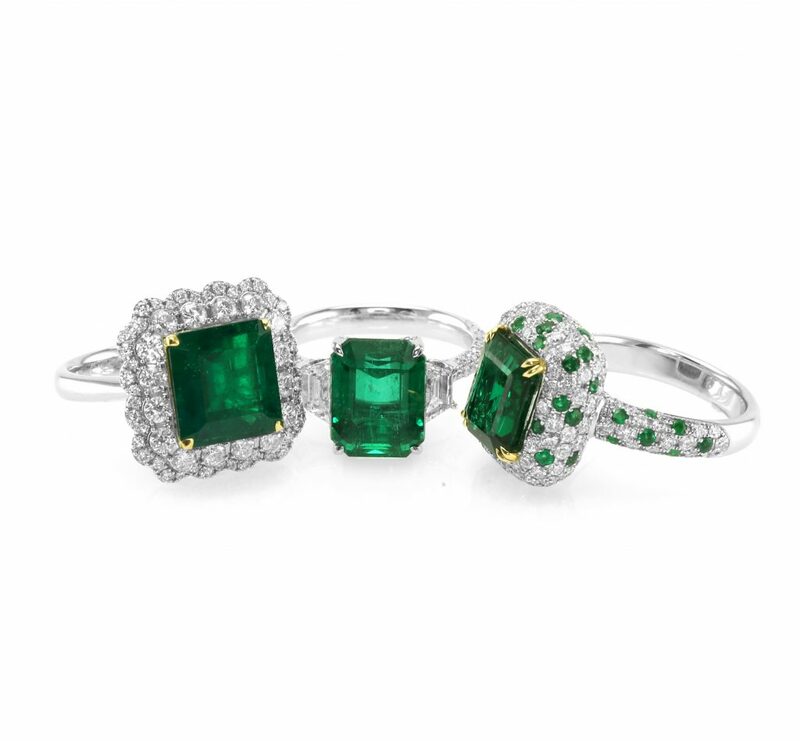 Although emeralds were prized in India for many centuries, the earliest known local source of true emeralds was discovered in Rajasthan in the early 20th century. Other Indian sources have also been discovered since. The quality of Indian emeralds is quite variable, but the majority of the stones are low quality so they are frequently fashioned into beads for the jewelry industry. 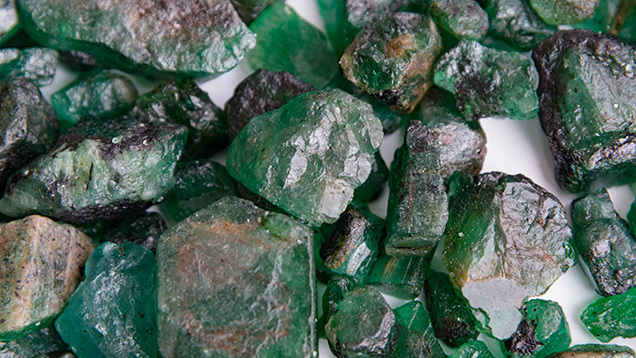 Additional sources of emerald include the countries of Norway, Tanzania, and Madagascar as well as the U.S. states of North Carolina, Connecticut, Maine, and New Hampshire, although none of these have amounted to significant finds. With emeralds from so many locations, it is no wonder that emeralds have an extensive history through many cultures. We begin that exploration next with Emeralds in Antiquity.